Circle Lumber Company found its namesake in the nearby Waco Traffic Circle. In this circa-1950 aerial photograph of Waco, the traffic circle where Circle Hardware is located can be seen in the top left quadrant. 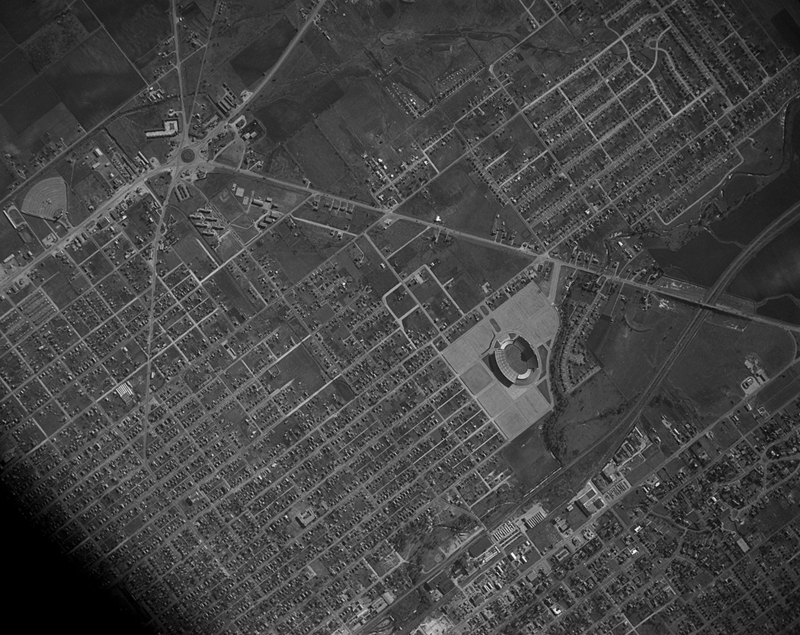 Other visible landmarks include the Floyd Casey Stadium and the Circle Drive-In Theatre.